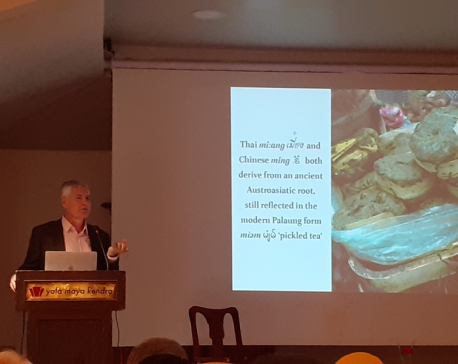 Dutch linguist George van Driem launched his book, ‘The Tale of Tea: A Comprehensive History of Tea from Prehistoric Times to the Present Day’ at YalaMaya Kendra, Patan Dhoka on Friday. 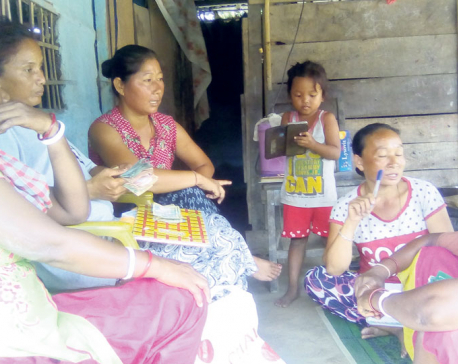 ILAM, March 27: Tea workers of eastern Nepal have announced to launch protest against their employers, demanding implementation of the minimum wage fixed by the government. The indefinite protest will begin from Sunday. 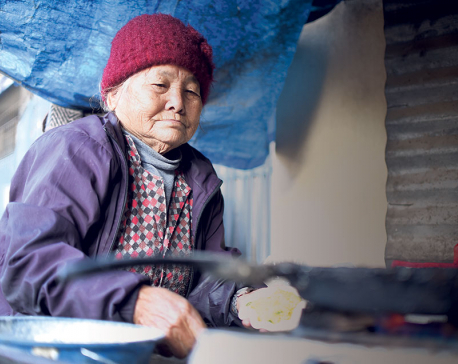 80-year-old Thuli Maya Sunuwar is up hours before sunrise and starts work much before many of us have even had our morning cup of tea or coffee. Her knees and back hurt, she has troubles with her sight, and she can feel her body slowly giving up because things she once did with ease take a lot of effort now. 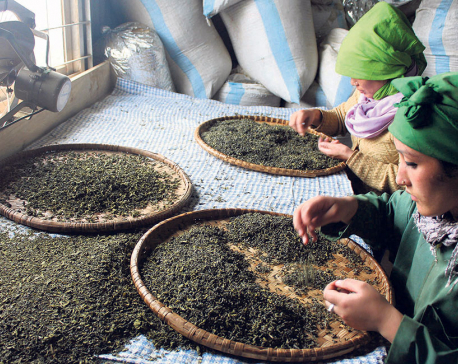 ILAM, Nov 25: Foreign consumers of Nepali tea, who used to be interested in buying any type of organic tea from Nepal, have started looking for diversity in products, according to tea entrepreneurs. 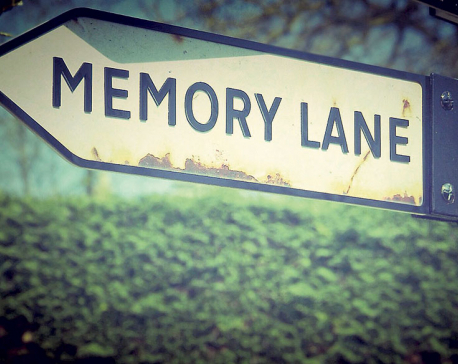 A mere picture that makes me walk through the memory lane and then chuckle and cry. A scene that I used to behold from the terrace of my house on every tranquil yet cold morning, being seated calmly and enthralled on the chair, webbing strange dreams and imaginations, cherishing each gulps of delectable tea prepared by my mom. 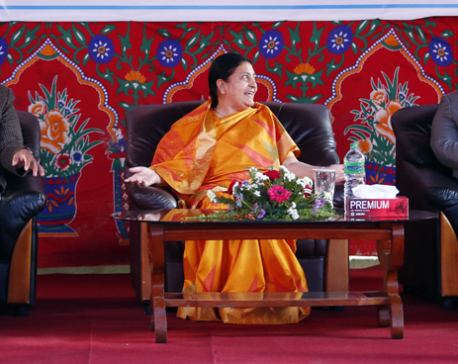 KATHMANDU, Oct 29: Minister for Agriculture, Land Management and Cooperatives, Chakrapani Khanal, has underlined the need of making efforts to follow the pace of development achieved by China. 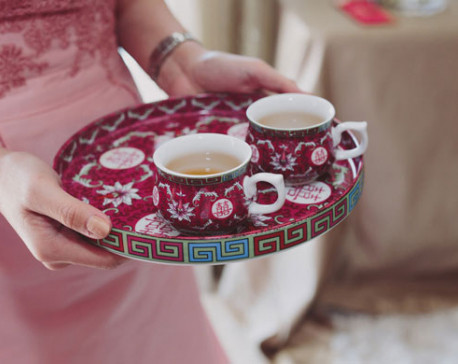 KATHMANDU, Sept 30: Tea has been the beverage of choice served in honor of guests. However, with the changing time, its purposes have also diversified. 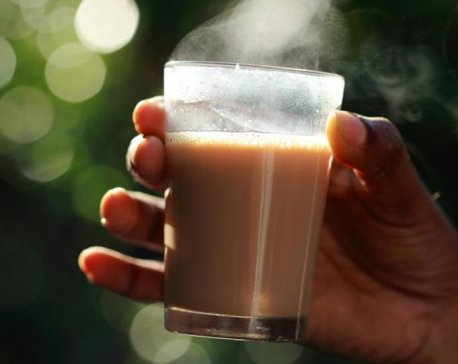 In the Nepali society, though tea was primarily consumed to stimulate energy, it has gained prominence for its vast health benefits. 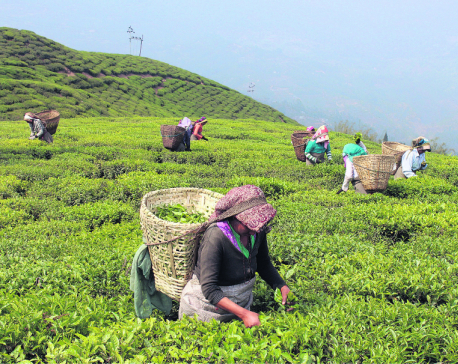 ILAM, Aug 6: A total of 3 million workers are engaged in tea industry of Nepal. But only 3,244 them are hired on permanent basis, a survey shows. 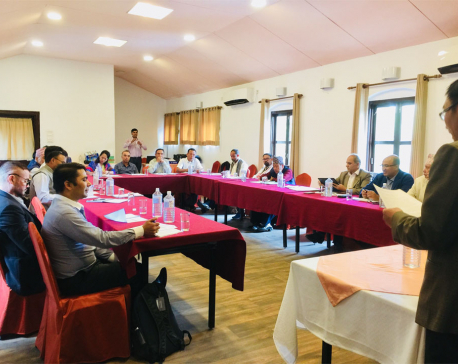 KATHMANDU, Aug 1: Members of a tripartite plus task force on quality tea have stressed the need to implement the recently announced minimum wage for workers. 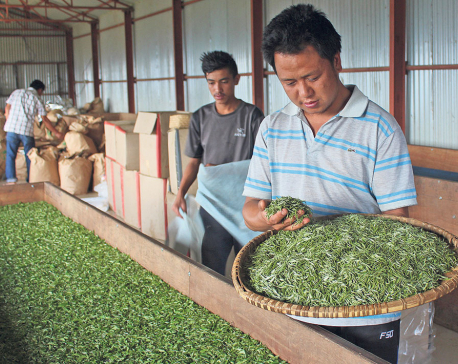 KATHMANDU, July 14: Although tea has been considered as a competitive product of the country, most of the tea farmers are apparently uninterested in expanding their business. DAMAK, July 25: With price of green tea declining rapidly, many farmers of the district have decided to get rid of tea bushes and cultivate new crop. For this, they have decided to give green leaves as a bonus to laborers who pluck leaves for them. 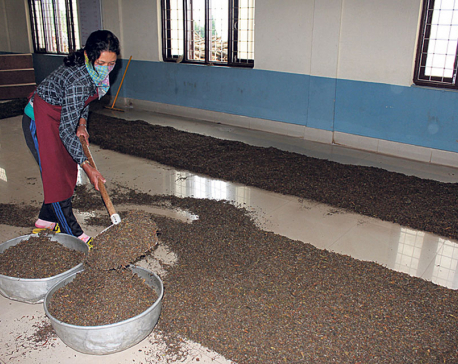 ILAM, May 29: The obstruction in export Nepali tea has continued at the border, leading to severe inconvenience to tea farmers and entrepreneurs. They are still unable to export their products from the eastern border at Panityanki, Jhapa forcing them to use alternative border points that incur more expenses. ILAM, May 9: Indian customs officials have obstructed export of readymade tea to India, according to industrialists. 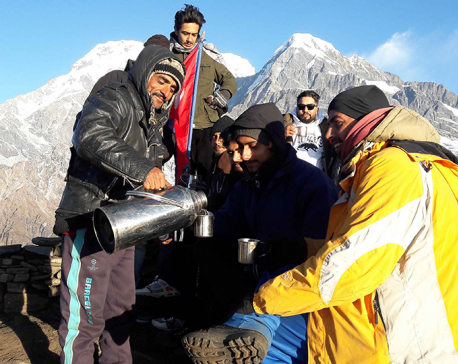 SOLUKHUMBU, May 7: Three districts of Sagarmatha Zone -- Solukhumbu, Okhaldhunga, and Khotang -- have been found suitable for tea and coffee farming. 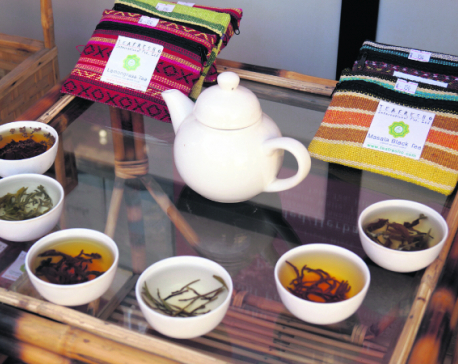 KATHMANDU, April 8: A tea tasting event was conducted at the Everest region on Saturday as part of the ongoing Third International Tea Festival. 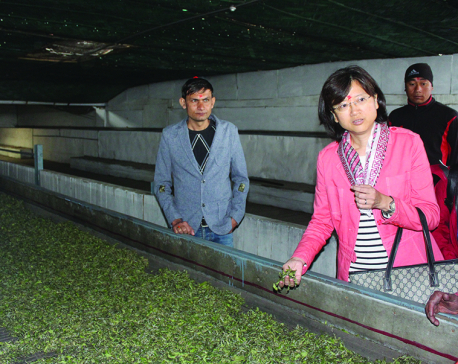 ILAM, April 3: Nepali organic tea is popular in many countries across the world. 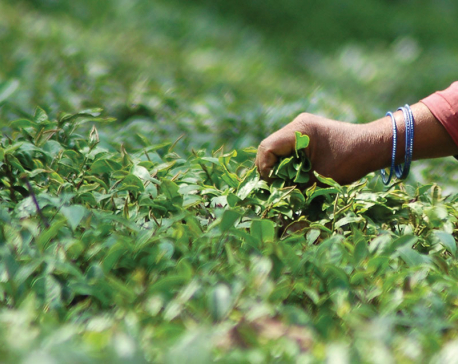 Within Nepal, some consider tea produced in Ilam as the best. DHANKUTA, Feb 26: The National Agricultural Research Centre (NARC) has started research on production of Nepali variety of tea. 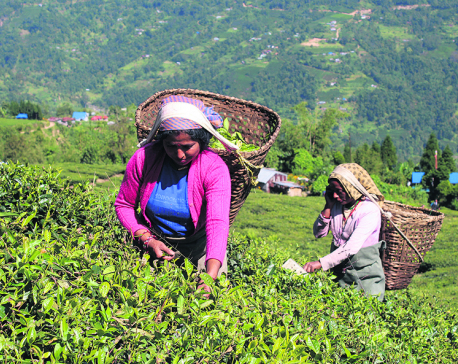 KATHMANDU, Feb 20: The five-month protest in Darjeeling has become a boon for Nepali tea industries. ILAM, Feb 3: Nepal's orthodox tea has got its own trademark after 154 years of beginning of tea farming in the country. KATHMANDU, Jan 15: President Bidhya Devi Bhandari hosted a tea reception program on the occasion of Makar Sankranti also known as Maghi. ILAM, Jan 14: After a series of obstruction on the export of cardamom and ginger, Indian customs office at Panitanki is now obstructing the export of Nepal’s organic tea. Learning through imagination or reality: What's your cup of tea? Undoubtedly, reading books is a good habit which enhances our IQ level and imagination. It is also a productive medium to pass some leisure time. As we know that there are works of non-fiction and fiction, the choice varies according to people’s preferences. To those who do not read novels and other works of literature, the terms might be entirely new. GAUSHALA, Dec 19: Nepal Army has started providing firewood and tea at Jaleshwor at a time when district dwellers are facing acute cold for the last five days. POKHARA, Dec 3: It’s just 4 o’clock in the morning. Others in this part of the world might be in a deep slumber, but Tanka Prasad Gautam is a habitual early riser. Nine-year-old Shusil Khatri is a third grader at The Rolling Stones School, Bhimsensthan in Kathmandu. He is often found serving tea to the passersby and tourists around Basantapur. Though Shusil is usually busy with his studies, he says he likes helping his mother and sister whenever he is free. Sushil’s pleasant smile and innocence habitually convince people to buy a cup of tea from him. ILAM, Oct 31: European tea traders are demanding Nepali tea in large quantities after disruption of their import from Darjeeling due to ongoing Gorkhaland movement. 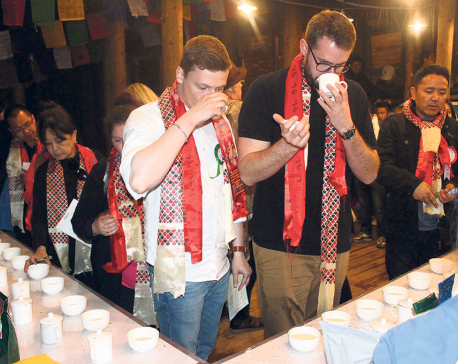 A team of 10 European businessmen were in a three-week visit to Ilam and Dhankuta districts in eastern Nepal to order tea for next year. 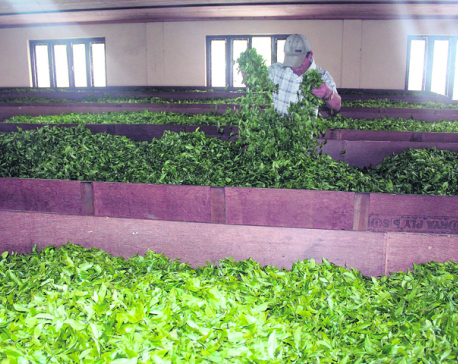 ILAM, Oct 29: Tea production in Ilam is likely to drop by about a fifth this year due to incessant rainfall and fog, tea entrepreneurs have said. KATHMANDU, Oct 26: A good cup of tea is always the best way to start the day. Some take it black and plain, other like tea with milk and spices. Though there are numerous cafes and coffee lounges catering to the younger generation that crave coffee, Chiyapaan is probably the very first tea lounge in Kathmandu. 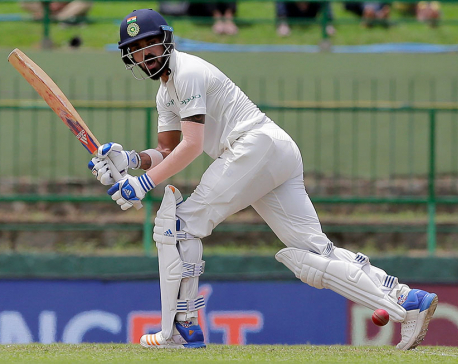 PALLEKELE, Sri Lanka, August 12: Opener Shikhar Dhawan scored his sixth test century Saturday before Sri Lankan spinners hit back with three wickets in the middle session as India reached 235-3 at tea on the opening day of the third and final cricket test. JHAPA, June 24: A tea garden laborer Panchi Rai has participated in protest rallies and election campaigns several times. Whether it is for Nepali congress, CPN - UML or Maoists, she has always been there along with other laborers. Picking them in van and taking to destinations, telling them to chant slogans, demonstrate placards or sometimes even stage sit-ins are general activities all those parties follow. Their presence is vital during sensitive times, they know, says Rai, a local of Mechinagar - 15. However when it comes to addressing their grievances, political parties have never show interest, she accused. 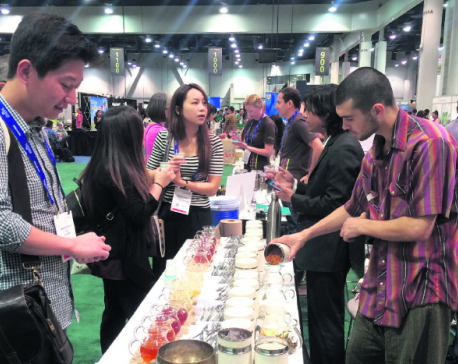 The World Tea Expo 2017 was held from June 12-15 at the Las Vegas Convention Center, USA. According to the press statement released by Teafresho International a total of 268 companies from India, China, Sri Lanka, Japan, Taiwan, Columbia, Nepal made their presentation where booth no: 1162 presented Teafresho Nepali Tea and Herbs. 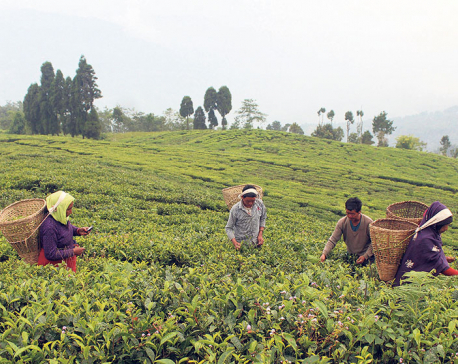 ILAM, June 10: Tea farmers of Ilam are finding it difficult to market organic tea produced in their farm for the country lacks facilities for organic certification and accreditation of the cash crop. 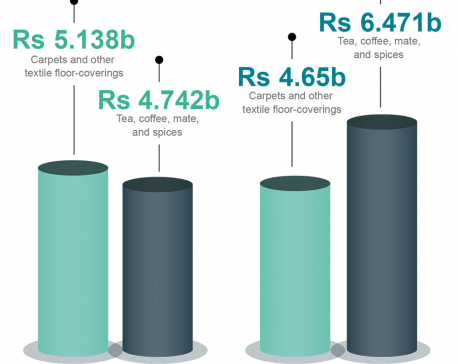 Infographics: What does a cup of tea look like around the world? What does a cup of tea look like around the world? 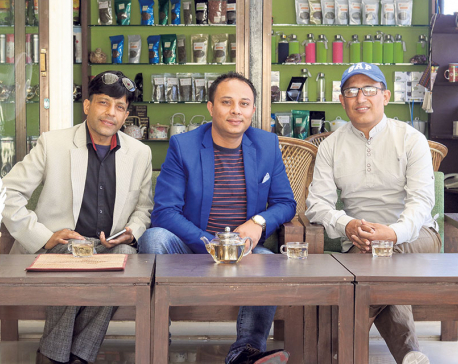 KATHMANDU, June 5: Teafresho International Pvt Ltd -- a Kathmandu-based tea trading company -- is opening its first international lounge in New York City of the United States of America. BIRGUNJ: Brewing and drinking tea started thousands of years ago in China. It came to Nepal only a few hundred years ago but embedded itself quickly into Nepali culture. Nepali tea grown in Illam and Jhapa has become popular in both national and international markets. 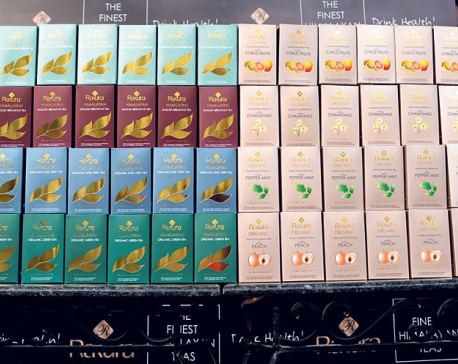 Many tea bars have started opening up all across the country where people drink tea to a myriad of conversation topics. Birgunj is no different. 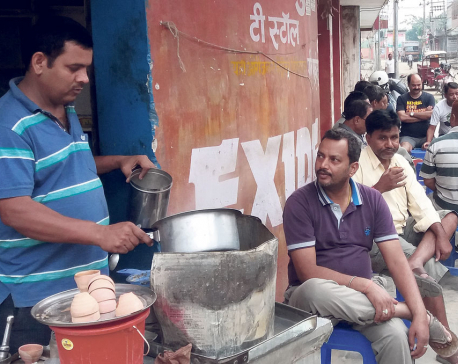 If you go around Mahabirsthan or Adarswaisthan Mainroad during the early mornings, you can see a cluster of tea shops on footpath catering to the need of their early-rising customers. These tiny shops have become hubs for critical chitchat amongst the locals. 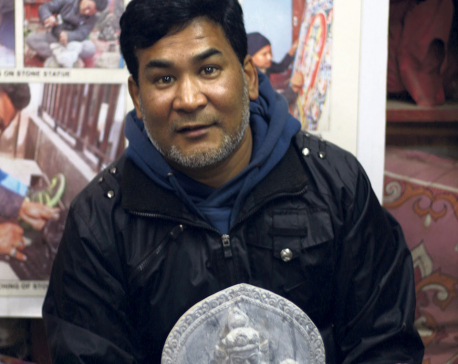 ILAM, May 30: Uday Chapagain, owner of the Gorkha Tea Estate is quite worried these days. Tea leaves in his estate are waiting to be harvested. 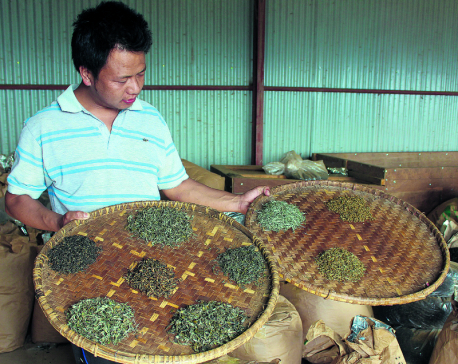 If delayed, the quality of the tea produced from them would be affected. However, as he is not getting labors to pick those leaves he is feeling helpless. KATHMANDU, May 9: The differences among Legislative, Executive and Judiciary were clearly visible on the Law Day following the impeachment motion filed against Chief Justice Sushila Karki. 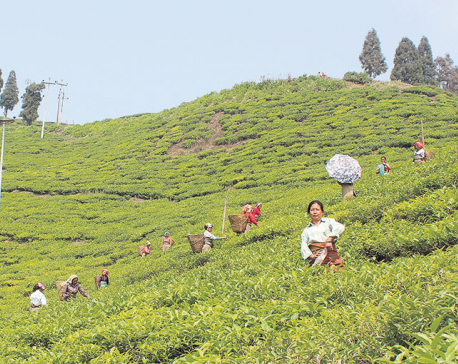 ILAM, May 2: Last year small scale tea farmers as well as big tea production companies were anxious over the lower tea production in Ilam and other surrounding districts famous for tea production. Thanks to favorable climate and rain on time, they are all smiles now. 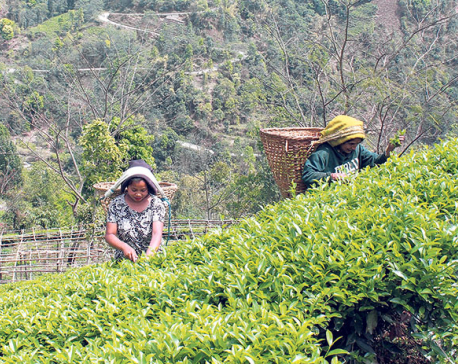 ILLAM, March 13: Tea entrepreneurs of Ilam district have voiced concern over government's apathy towards addressing the problems facing the tea estate here. 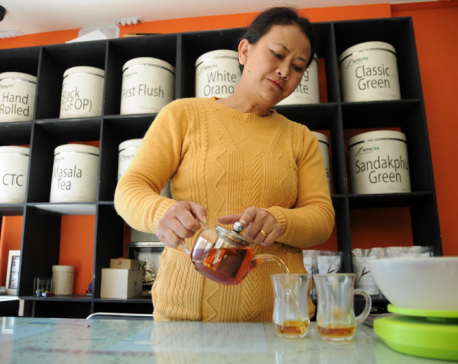 With many kinds of tea available in the market, The Week attempted to better understand tea and all its myriad benefits and met up with Twistina Subba, of Kathmandu Tea Room in Jawalakhel, who helped shed light on the matter and also taught us how to correctly brew a good cuppa. KATHMANDU, Jan 23: Himal Tea Industries Pvt Ltd has launched Rakura Tea 2.0 in the Nepali market. IILAM, Jan 1: Vice President Nanda Bahadur Pun on Saturday called for prioritizing organic tea production. KATHMANDU, Nov 20: Milk Tea is a play based on struggles of single woman who wishes to live her life on her own terms and her own wishes. 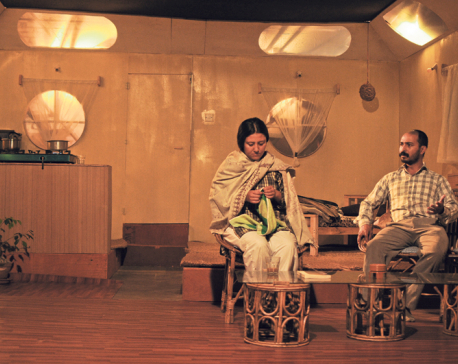 Shrijana Adhikari, director of the play, plays main character in the play.